Watch the video below where myself and Carolina with 30 Minute Crafts share our tutorials for some mason jar crafts. I am sharing this vase and Carolina is sharing an amazing magnifying bug jar for your kids. Start by painting a plain sided Ball jar (available in the craft section of most stores) with Americana Multi Surface paint. The jar below has 3 coats of paint. Allow to dry in between coats. The flowers are made with Duck Fabric tape in two colors. Cut off a length of the tape. I ran it through my Sizzix with a few flower dies to get my shapes. You could also use an electronic craft cutter or even free hand with scissors. 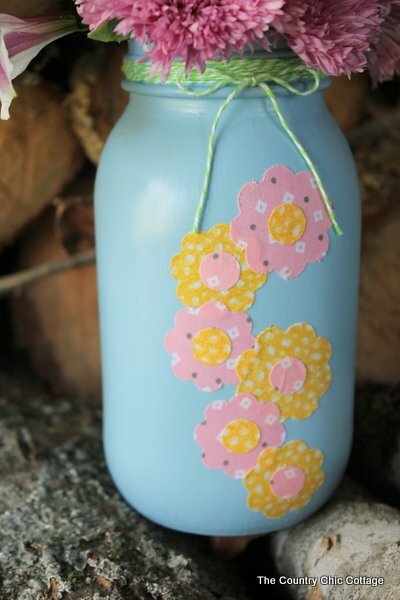 Remove backing from each flower and middle and place on jar randomly. Tie baker’s twine around the top for a fun last minute detail. 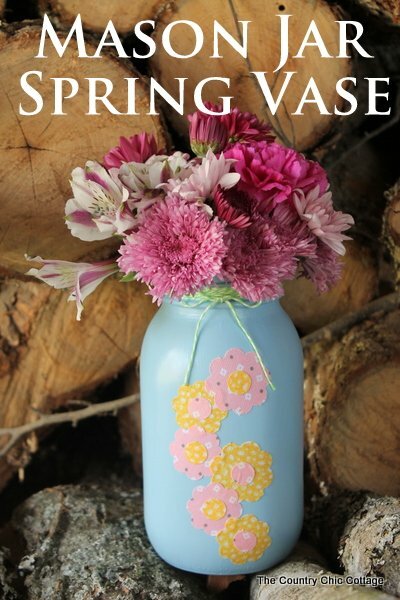 You can add flowers with water to this mason jar spring vase. Or maybe utensils for a spring party? Either way this centerpiece will be the star of the table. Make an entire garden of these jars on your Easter table. Or just one to give mom for Mother’s Day. 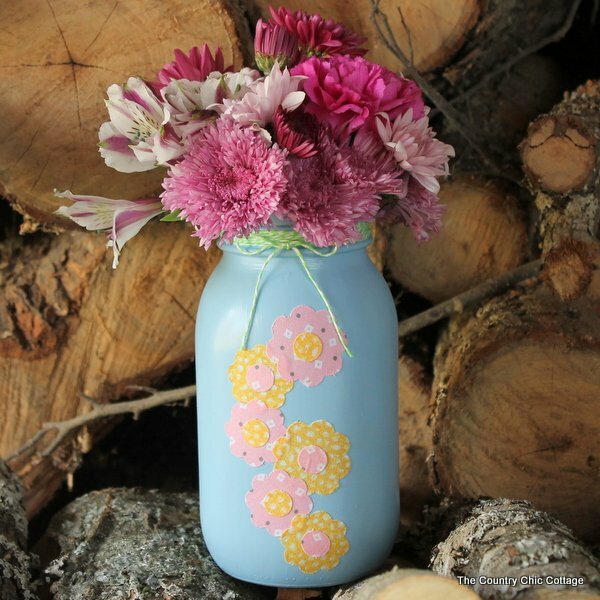 The Duck Fabric comes in tons of colors as well so make the mason jar spring vase of your dreams.